We often hear that time is money. Having time to enjoy the good things in life is a luxury. Yet, sometimes we are lured by lower prices or special offers, thinking we are saving money, when doing so can actually waste time. Sometimes, paying more seems impractical. But, think again! Think about the concept of practical luxury. As a luxury real estate marketing professional, how much is your hour worth? Have you ever been offered a dollar to complete a survey that takes 10 minutes of your time? That means that your time is worth only $6 per hour. At a new upscale shopping center we were offered $10 to complete a survey that only took 3 minutes. That equated to $200 per hour--a much better return on our time spent, especially for effortless work. But, the key here is to stay focused on what your time is worth. With gas prices skyrocketing, many are lured by gas stations wars. Depicted here are two gas stations catty corner from each other. 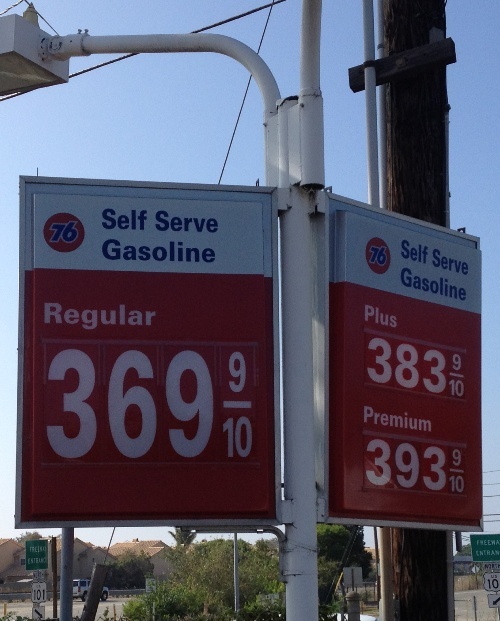 Union 76 always has lower prices than its competitor, Chevron, across the street. The majority of time, the owner of Union 76 is directing traffic around the narrow pump aisles, making sure that everyone is on the correct side of the pump. At peak times, people are lined up to fill up while their engines are still running. At the Chevron station there is no wait whatsoever. There are more pumps and wider aisles for easy access. What is your time worth while you are waiting to save a couple of bucks? If your car uses premium gasoline you are spending $2.00 more per fill up of 20 gallons. However, you are quickly in and out of the gas station. You can get to where you are going quicker and in a better mood. Now that is practical luxury! Are you worth it? The best luxury real estate marketing professionals thoroughly understand the mindset of their clients and target market. This nuance of practical luxury can give you an insight as to why some affluent people do not bother to comparison shop. While, there are those who became affluent because of a very frugal mindset. Neither is better. Some just value their time in different ways.